Today I am excited to bring you a great conversation with Dan Swartwout. Dan is a stand-up comedian, an entrepreneur, a philanthropist, host of the show cbuzz, a City Council Member, and an all-around great person. Cbuzz is a Columbus’ first business-focused podcast. Dan has been hosting it for a year, and they have formed media partnerships with the Columbus Chamber of Commerce, CD 102.5, Rev One Ventures and the Columbus Dispatch. Every month one episode airs on CD 102.5, and Dan recently recorded a show in front of a live studio audience with Matt Scanlon of CoverMyMeds. Dan recently gave a speech at the Columbus Chamber of Commerce, a warmup of sorts before the meeting. It was 8:30 in the morning, he was wearing a suit, and he had to address over 1000 people. Using the skills he has developed from standup comedy, hosting events, and hosting his show, he was able to perform well and create positive word-of-mouth for his brand. I also had the opportunity to do something I don’t normally do, or at least haven’t done in a long time, and that was perform standup comedy. I hired Dan to help me prepare, and it helped immensely. Dan has an event coming up in November called Kicking Cancer with Dan Swartwout. This will be the 3rd time the event is held, and it is for brain cancer and research for brain cancer at the James Cancer Hospital here at the Ohio State University. If you haven’t seen Dan’s act, he’s sort of known for being able to do a high kick. I can’t thank Dan enough for coming on the show. 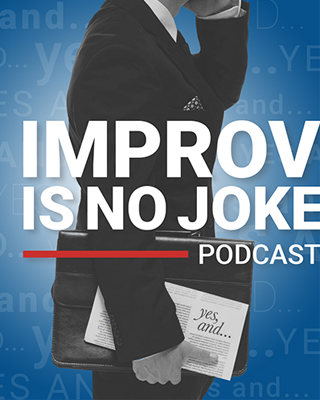 He is an incredibly talented and funny guy that gives an incredible amount of himself and his time to his community, and I appreciate him for sharing his time and his insights with the Improv audience. Peter: Dan I can’t thank you enough for taking time to be part of my podcast. I greatly appreciate it, and welcome. Dan: Thank you Peter. It’s really good to be on the show with you, and I’m looking forward to our conversation. Peter: Now in the intro I read your background, but I left some things out that I think the audience would be interested in. Dan: Yes, I went to the Moritz College of Law at The Ohio State University. Yes. Dan: Yes, yes. I took a job at one of the larger firms here in Columbus, spent a couple years there and then left the firm to pursue stand up comedy full time. Peter: And that’s worked out well for you, hasn’t it? Dan: It’s been alright. It’s not been too bad, it’s not been too bad. Peter: And Dan’s also the host of a podcast name cbuzz and it’s in conjunction with the Columbus Chamber of Commerce, CD 102.5 and the Columbus Dispatch, and I do love listening to cbuzz. Dan: Hey thank you. It’s a really cool show that I’m really excited about. Basically I interview central Ohio entrepreneurs about being entrepreneurs, about how they got started with their businesses, the successes, the failures, hoping to impart some lessons for our listeners who may be interested in being entrepreneurs themselves. Things they can take away from how other successful entrepreneurs have gone about building a business, and hopefully showing that their stories can prove to be inspirational and instructive for the folks who listen. It’s been a really exciting project. We’ve been on it now for about a year. We have we picked up some media partners with the Columbus Dispatch and CD 102.5. We’ve got a partner with Rev One Ventures here in central Ohio. One episode a month actually airs on CD 102.5 FM, which is exciting as well, and we’ve had a bunch of phenomenal guests. We most recently had our first live recording too, and that was exciting because we had 75 people actually in a studio audience watch us record an episode of cbuzz with Matt Scanlon from Cover My Meds, and that was exciting. It’s exciting and it was kind of a little different approach because, Peter, something messes up with you and I here, you know you just stop recording. You go back, you start again, and nobody’s the wiser. If I were to have messed up in front of a crowd of 75, we just can’t edit out that mistake in front of a live audience, so it was definitely an interesting experience and a lot of fun as well. Peter: Yeah. If we mess up somebody will fix it and we’ll keep moving forward, but I listened to most of that podcast this morning and I was a little shocked at first. I was like, that really is a live audience, and I started wondering how your guys pulling all of that off and you guys the great job from what I heard. Dan: Thank you. Well you heard what you heard because, you know, with with a live audience, there wasn’t a whole lot of ways to fix anything that might have gone wrong. Luckily nothing did go wrong. It was a phenomenal experience. Matt Scanlon from CoverMyMeds was an incredible guest, and it was a really cool story. It’s been a fun project too, because we’ve got these great entrepreneurs who are building such exciting, successful businesses, and we’re able to present it in a fun, informative manner. It’s been really exciting to present these stories in an entertaining, fun and hopefully – like I said – informative and inspirational manner. The show is just really taken off and grown and it’s it’s exciting to have been a part of it from the very bottom floor. From the very first time we went in and the very first interview we had to where we are now, we’re just adding media partners, we’re adding listeners, you know, we’re doing more and exciting things like the live audience. It’s just, you know, if you work hard and you do something that people are interested in, and you can really watch it grow, like I’m sure your podcast will grow as well, Peter, in the coming months, and I’m excited to see to see where this goes. 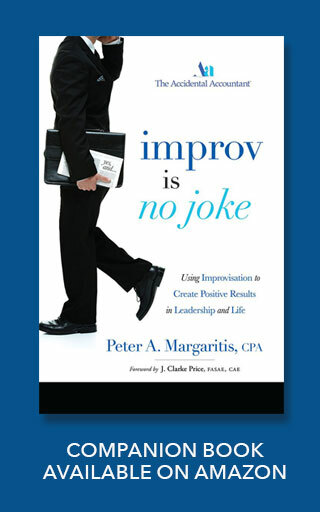 Peter: And you don’t have to be an entrepreneur from Central Ohio to listen to this podcast. If you’re an entrepreneur anywhere in the United States, anywhere in the world, this is a podcast you should listen to, because it’s really, really good. I listen to it all the time. Lots of interesting nuggets to take away. Another thing about Dan that most people might not know is you were just recently elected to the City Council of Powell. Dan: I was indeed. I was elected this past November – November 2015 – and I was sworn into office January 2016. Powell is one of the suburbs here of Columbus, Ohio in central Ohio. It’s a phenomenal place to live, it’s a wonderful community and I’m very excited for the opportunity to serve this great community. And yeah, it’s been a real neat experience. Dan: [laughs] You know me, you’ve known me for a long, long time, Peter. Dan is just fine. Peter: and last but certainly not least, Dan is very much a philanthropist in the Central Ohio community. He has donated his time to a number of events and to a number of causes, and I tell you what, this by far is probably the biggest piece of Dan Swartwout is what he gives back to the community in his time. A lot of people might not know that, but I hope a lot of people realize that after listening to this podcast you have a big heart, my friend. Dan: So I appreciate it immensely. That’s very, very kind of you to say, Peter, you know. It’s one of the things about stand-up is being a part of a wonderful community, is the opportunity to give back. The community has been very, very good to me, and so whatever I can do – that very, very small part I can play to make our community a better place for people – I’m thrilled and happy to be a part of it, but that’s very kind of you to say. Thank you so much. Peter: Well I’m not I’m a junkie, a follower of your philanthropy here in central Ohio, and if I’m unable to make the event I do try to make a donation to that cause, because they’re all very, very worthy causes. Dan: And we’ve had some real success. We have an event, this will be the third year coming up for it, called Kicking Cancer with Dan Swartout. For those of you might have seen my act, I am kind of known in part for having this ability to kick very high. I never set out to be the high kick comic. It just kind of happened, organically, onstage, and I am not the smallest guy. I am not the most athletically in shape guy, so when people see this kind of kick that I can do, that get up there sometimes like a punter from the National Football League, it’s an interesting reaction. So that’s kind of one of the things I become known for. I’m not sure if that’s a good thing or a bad thing. I don’t think anyone sets out saying I want to be the high comic, but that’s that’s kind of something I’ve become known for, so they came up with this event Kicking Cancer with Dan Swartwout, and we’ve been able to raise a lot of money. It’s just some some fantastic events that we’ve been able to be a part of, and that’s – like I said. Peter, it is very, very kind of you to talk about. Peter: When is this event? Dan: November. November was in the preliminary stages of setting a date now. The last two years it’s been at Worthington HIlls Country Club, and we’ve done really, really well with raising a lot of money. This event is specifically for brain cancer and research for brain cancer at the James Cancer Hospital here at the Ohio State University. This event has been very successful and we hope to make it even better. Peter: Yeah, Dan, I will say that the first time I saw you do that kick, one it shocked me, but I think I pulled a hamstring and I was sitting down. Dan: [laughs] Yeah, like I said, it’s just something that happened organically. I have a bit that calls for some physical movement, and you know it wasn’t anything like choreographed or rehearsed in advance, I’m just doing this physical movement and I just kicked, and the audience kinda was like, whoa, taken aback. Aghast, almost like you, that the kicking out so high and I’ve actually hurt myself on more than one occasion doing that kick, so if you see me in your area doing stand-up comedy, you might want to see me in the immediate future before that kick might be retired, because time is undefeated, Peter, and time will defeat the kick as well. Peter: So true, my friend. So true, my friend. I’m 55 years old, I have a body of an 80-year-old and the mind of a 20-year-old. Peter: You’ve been a very successful stand-up comic. You do a lot of stuff at the Funny Bone throughout the country, as well as the Improv, and you shared a story with me. You were, would you say, warming up the audience at a Columbus Chamber of Commerce event recently? Dan: The Columbus Chamber of Commerce have an annual meeting. I gave the opening remarks. It was an interesting, interesting day. It was a really exciting event because it’s held at the big Columbus Convention Center, and there were over a thousand people in attendance, some of the premier business and community leaders throughout Central Ohio and Columbus. To go out and give those opening remarks at 8:30 in the morning, to kind of a cold crowd, it was a fun and interesting experience. Definitely, definitely a little bit different than stand up. I was out there, I had teleprompters, I had a script. Words written for me, It was exciting. It was different. It was another chance to kind of stretch my skills a little bit and, you know, the more skills you have to your arsenal, Peter, the more things you can do. If you can do stand up, you can do improv, you can do a keynote speech, you can be a master of ceremonies, you can host a show like you’re hosting now. The more talents you have, the more skills you have in your arsenal, obviously the more things you can do. So anytime I get an opportunity to stretch my skill set a little bit, I’ll definitely try to take advantage of it. Have fun. Do the best job I can, and hopefully take away a learning experience from it, as well, to improve, because I think every skill that you know, that are somewhat related, like I talked about stand up comedy, hosting, speaking, master of ceremonies are all kind of interrelating skills, and the better you get at one of them I think the better you get at all of them, when they’re interrelated like that. So you can take things from a comedy performance, even though my goal in the morning at that meeting, warming them up there, kind of doing those opening remarks 8:30 in the morning in front of a thousand people. My goal wasn’t to make them laugh. It wasn’t a comedy performance, but a lot of the things I’ve learned from years and years of stand-up I could, of course, translate to that. The ability to to read an audience, the ability to measure my performance based on the audience’s reactions and expectations, and I think a lot of those skills are translatable to many different types of performances and speaking engagements. So it was an exciting event, you know, there were a lot of very influential and successful people there, and having the opportunity to talk in front of them was really, really exciting, and like I said I think I was able to take something, a learning experience, from it as well as having just a fun time doing it. Peter: I just want my audience to think about what he did. A thousand people that were in attendance did not shake him at all, because I believe that is average size of attendance at his shows. Dan: [laughs] It was a little smaller. Dan: I do not wear a suit and tie on stage normally. I mean obviously if the client were to call for it, some sort of private engagement, I would, but that’s not my normal. That’s not my normal attire, no. Peter: And you’ve got the mayor of Columbus in the front row along with some very influential people in the city of Columbus and Central Ohio, and you’ve got this huge audience for this great exposure for your brand, and based on what I’m hearing you did a great job. Dan: Well thank you, and you know this wasn’t so much primarily my brand. I never really thought about it like that. I thought about it kind of in the vein of the event itself, and obviously because it’s the Columbus Chamber of Commerce and the Columbus Chamber of Commerce is one of the driving forces behind the cbuzz podcast, I kind of thought about it more in terms of that, you know, as the host of cbuzz more than just Dan Swartwout, you know, comedian, host, whatever. I kind of thought about it more in that realm as opposed to exposure to my brand. Kind of just, I was the host, you know, if that makes any sense. Peter: Your brand, in my perception, is many, many different hats, and I would say anytime that you’re in front of any type of audience the Dan Swartwout is on on display. Whether you’re doing a corporate event, whether you’re hosting the chamber of commerce, or doing the thing with the cash explosion. All that’s part of your brand, and yeah, and I guess if we try to relate this to corporate America, the ability to stand up in front of an audience and articulately get your point across, goes a very long way in building one’s career, building one’s brand. Dan: Yeah, I think that’s right. I know there’s nothing more fun than talking about building a brand and stand-up comedy, because that is just a hilarious, hilarious concept talking about brand building. No I’m just kidding, but you know that that’s always true to an extent because when you do anything in front of people, talking in front of people in any type of realm, word of mouth is is a thing, and word of mouth is a thing in any kind of business, I would assume. You know, positive word-of-mouth, negative word-of-mouth, so obviously anytime I am doing anything, I’m hoping to generate positive word-of-mouth, which of course could lead to future referrals and future opportunities, which I think is true in just about every facet of business. You know being a stand-up comedian, it’s a fun job, but it is also a business, and it’s a business where you know I am in charge of not only the performance aspect of what I do, but you can’t perform in a vacuum. You know, I could be the greatest performer in the world, but if I’m doing it only in my living room and no one has the ability to see it, it really doesn’t matter, so the ability to go out there and find opportunities to find people willing to pay you to do what you do. That’s a tremendously important piece, I think, for a stand-up comedian. I think for any speaker, I would say, and so I guess every time, yeah, every time I’m out there speaking, regardless of what it is, I’m hoping that it’s generating positive word-of-mouth, which could of course lead to potential opportunities. Peter: Correct, except you don’t ever want to get in front of an audience and not be prepared, or just kind of just kind of wing it. And in full transparency, I hired Dan not too long ago to help me. It’s been about ten plus years since I’ve done stand-up, and I made a promise to a colleague that I would do eight minutes of stand-up at his theater group in Detroit. Peter: and you remember I’m still very, very rusty, but I hired you. You worked with me and, even on some of the most little things, and I did some stuff here in central Ohio in the Columbus area, but when I went to Detroit I was much more comfortable. I wasn’t gonna fall on my face because 1) I had a coach, 2) I worked at it, 3) I trusted my skills. But if I hadn’t hired you to help me do that, I’m not sure that I would have come off anywhere near being as polished as I was, so I guess my point here is, you know, if you’re rusty at something and you need some help, you can either go the slow route and try to fix it yourself or find someone who’s a professional that can help you get to that level, and get that polish and the rust off, so you can make a positive impact. Dan: Yeah I think that’s true in a lot of fields. I mean, if you have a skillset you need to develop and there are people around you who have an expertise or a lot of experience in that particular skill set, that’s a valuable resource. If you’re looking to improve what it is that you do. I think that’s true in comedy, I think that’s true in speaking, and I think that’s true in just about any field. And you mentioned one thing a little bit ago about being prepared, and I think that is a hundred percent the case. You want to be prepared. You want to know what you’re talking about. You want to have a grasp of what it is that you’re going to say. What it is that you’re going to do. The key, the trick, I think, between a good speaker, maybe, and a great speaker, is that the great speaker and the good speaker are both prepared and ready and on top of what it is they’re going to do. The great speaker, however, doesn’t appear to be over-prepared the way they’re talking to you even though they know they know exactly what they’re going to say, and what they’re going to do, and how they’re going to do it to the audience. It almost appears as if this is coming right off the top of their head, and I think that is one of the the real pieces of magic behind comedy, or any type of speaking. The ability to convey something, the ability to convey a message, a speech, whatever, it is that you’re going to do that is prepared, that you know, but the audience believes you’re just doing it right off the top of your head because you’re so natural in the way that you deliver it, so you don’t look over prepared, and I think that’s a one of the key things as far as any kind of speaking, is the ability to be prepared but to look like you’re doing it for the first time or you’re just thinking about it right there. Peter: That’s key. That’s great and I believe that wholeheartedly. As you were describing that, I put it in terms of you’re actually not presenting to the audience, you’re actually having a conversation with that audience. Peter: And if you can do that, and I’ve seen you perform and I can imagine the hours of practice that you put in that know, Dan, what’s number five on your set tonight? Boom, you could probably go to it. As you are a national headliner, you probably walk up there onstage, have an idea where you think you want to go, but based upon that audience you may drop the joke or two that you thought about and bring in a couple of other jokes that would meet the needs of that audience. Peter: Well put. You’re referring to powerpoint, and when I worked with people on there speaking and presentation skills, I go you’re prepared if you’ve got an hour, hour-and-a-half, two-hour presentation, and just before you start your PowerPoint freezes up – and that’s that’s happened to me a couple of times – and if you can go and go do your speech for your presentation and fill that time with pretty much everything that you were going to talk about without having to refer to your PowerPoint, that’s when you’re prepared. And quite frankly, I wish I didn’t have to use powerpoint. I find it more engaging with the audience when they’re not latched onto a PowerPoint presentation and trying to read it. I actually want to talk about fluid and mention an improv. I’m going to facilitate a two-hour course conversation on public speaking and presentation skills. However, we do it very differently this time. I’m not coming with the powerpoint. I want the audience to tell me which way we’re going to take this course. Peter: What questions do they have so it will be, and you’re right, I will be so prepared that I’ll be able to have this conversation and be fluid, be improvised, go every which way we go. I think that’d be much more powerful than an audience that’s sitting there listening to me and watching a powerpoint at the same time. Dan: You know, I think sometimes when powerpoint presentations just, instead of adding to the speech, just kind of mirror what the presentation says. I think powerpoint can be used effectively, but I think it’s it’s most effective when it is an addition with some supplemental material, as opposed to I’m going to say is something that’s exactly the same thing you are going to see on this screen. Peter: Right. I have worked with people like to put put every single word on the screen. And I go, “They’ve passed the CPA exam. They know how to read. You need to tell a story around what you’re trying to say,” and use the Lincoln less-is-more. The Gettysburg Address was 271 words. Everybody remembers the Gettysburg Address, but I don’t remember the guy who spoke before him, but he spoke for an hour and a half. Dan: Did he? Is this a real story or is this apocryphal? Peter: And he spoke for an hour-and-a-half. Nobody knows the guy. So less is always more, and the better storyteller you are the more you are able to get your point across, and from your perspective, you know, I call myself chief Educatainment Officer, because I believe if you can entertain an audience they’ll retain the information a lot better than not entertaining the audience. Peter: So I will call back to when the plates and everything fell and crashed, and the first thing that came to my mind is after the noise would settle, I’d look at the crowd go, “Must be a Greek restaurant because all the broken plates,” or, “That waiter must be Greek and felt like that’s his way of applauding this presentation,” and then just moving on forward. But yeah, you’ve gotta expect the unexpected. You will make mistakes, and if you get flustered by Little Miss mistake then it’s just going to snowball to something bigger, bigger, bigger and bigger. Hey, before we wrap this up, I just added this into my podcast because I was watching David Feherty, who’s a golf analyst, but he’s got a interview show on the golf channel and interviews a lot of different people. But at the end of the show he has this thing called rapid fire. I’ve got ten questions for you Dan and let’s see how you answer these. Dan: Okay oh wow. There’s no prep on this at all. Peter: No prep on this at all. Peter: Go with the flow, be fluid. Remember being fluid. Dan: I love it, I love it. Peter: Alright, first: Kevin Hart or Richard Pryor? Dan: As far are as my preference? Peter: As far as your preference, yes. Dan: I’m more familiar with the work of Richard Pryor, so I’d say Richard Pryor, but from what I’ve seen of Kevin Hart I think he’s very, very funny as well. Peter: Oh yeah I I love both of them, but I grew up with Richard and I used to be able to do his bit ver batim. Next question: skyline chili or White Castle? Peter: Hey, Bruce Springsteen or Boys to Men? Dan: Ah boy, these are some interesting questions, Peter. These are very interesting questions. I would probably say Bruce Springsteen, although I don’t know if I would rather… Yeah, I don’t know who I’d rather see in concert to be honest, because, you know, I don’t have seven hours to go to a Bruce Springsteen show. Dan: So maybe if it’s an actual concert, I’d maybe rather see Boys to Men so I could get to bed at a decent hour. Peter: [laughs] You’re killing me Dan. What’s your favorite type of meat? Peter: Bratwurst. Charcoal or gas grill? Dan: Gas grill, and it’s funny you mention that because just before we started this I was on my brand-new Weber gas grill cooking up some food. Wow are you.. I know this is audio but is there some sort of camera on me as well right now? Peter: No, but being a follower of you on Facebook I remember you recently got the gas grill, so I felt like that was an appropriate question. Dan: Very. Oh yeah, very. I’m very thrilled with my new grill. Peter: The Jetsons or Spongebob? Dan: I have never actually seen an episode of Spongebob so I would have to go with the jetsons, although I haven’t seen an episode of The Jetsons in probably 25 years either. Peter: Okay, Scooby Doo are or Astro? Dan: Now we’re really in your Hanna Barbera phase here, Peter. I’m wondering is there a Space Ghost question next, or… Astro was the jetsons dog, correct? Dan: I’d have to go scooby-doo, because my daughter is currently a big, big fan of scooby-doo, so I’ve been exposed to scooby-doo recently. It’s been a long, long time since I’ve seen any of Astros work. However, in the animated canine department, he is certainly an icon. Peter: In the animated canine department, [laughs] thank you. Oh man, what’s your favorite movie? Dan: Of all time? You know, it varies from day to day. I would probably say GoodFellas on most days, but there are days where you can catch me saying something else. But probably 200 out of 365 days a year I’d say GoodFellas. Peter: Okay here’s a really tough question. As it relates to the toilet paper rolls, over or under? Dan: On this sink not attached to the roll because, I’ll tell you what, here’s my thing on that. When you’re buying the big rolls, like the double rolls, they oftentimes don’t fit in in the holder, So it’s sometimes just better to put them by the sink. So I don’t have an answer on this. I know this is a question that has divided people for centuries and will continue to do so, so I have remained neutral by setting it on the sink until they make the holders big enough to hold a double roll or a triple roll, because I’m buying for economy here, Peter. Until they make that happen, it’s sitting on the sink. Peter: Now that you say that, I think, with the standard roll that the the device that hold it was built for a single ply role, and the only place you can find a single ply role is probably most airports or in office buildings, so I agree with you. They need to redesign it or just put it on the sink. Dan: In fact, I’m going to sell my house for that very reason. Peter: [laughs] Finally, last question, who’s your celebrity crush celebrity? Dan: You know, I honestly can probably say I don’t have one. I’ve never even thought about that. You know probably because I’m a grown man, Peter. Peter: [laughs] Ohhh, all grown men and grown women have celebrity crushes. Peter: Well, I asked my wife this question and she didn’t hesitate one second to say Mark Harmon. Dan: I mean, yes, yes, but for me I’ve never seen an episode of NCIS, but I’ve seen the classic teen comedy Summer School probably 40 times. Chainsaw, Dave, Mark Harmon Wonder Mutt. Peter, I’ll lend you the DVD. Peter: Are you sure that’s not a VHS? Peter: can listen to it on an eight-track? Dan: A little past the 8-track time, but definitely VHS. You could probably get the soundtrack on cassette. I’m surprised you’re not familiar with Summer School. Peter: Probably why I’m not familiar with that animated series. Enough said about that. Peter: Before we sign off you, you host cbuzz and you talk to various entrepreneurs in central Ohio, and as we’ve gone through this conversation, you my friend are an entrepreneur in central Ohio, and I think for one of the episodes you should be able to interview yourself for cbuzz. Dan: That would be an interesting and yet confusing episode for our audience, where I go, “Hey Dan, how you doing today? I’m doing well, Dan.” You know to me part of being a good host is not overshadowing or upstaging your guests to an extent, so part of the thing I like about being a host or being a master of ceremonies is that I accentuate the guests or the event and never try to put myself over the guests or the event. So I like the way that cbuzz is very guest focused, and I wouldn’t want to take away from that by making it the Dan Swartwout show. It’s on the host, if that makes sense. Peter: It does make sense, but I guess, you know, in all seriousness, maybe they should interview you for upcoming episode, because you are an entrepreneur in central Ohio and have given a lot to this community. Dan: Well that’s very nice of you to say. I think you’re just angling for me to answer that celebrity crush question now. I think you’re just trying to use this. Peter: Which celebrity would you like to have interview? Dan: What celebrity would like to have interview me on cbuzz? Oh, Rod Serling. That’s the thing that Rod Serling is no longer alive. But you asked, so, since it’s not going to happen anyway, I figured there were no limits to the answer of that question. Peter: Well I will start learning how to do his voice and maybe come and interview you as Rod Serling on cbuzz. Dan: If Rod Serling interviewed me on cbuzz, it would be an episode worthy of the Twilight Zone. Peter: Bingo and that’s a wrap. Hey Dan, I can’t thank you enough for taking time to spend with me on this podcast. I enjoy our conversation. Actually, we could probably talk for another half an hour or so, but I know you’ve got something grilling on that grill, some bratwurst or something that you got to get to lunch, so once again Dan I greatly appreciate it. Thank you very much for your time.